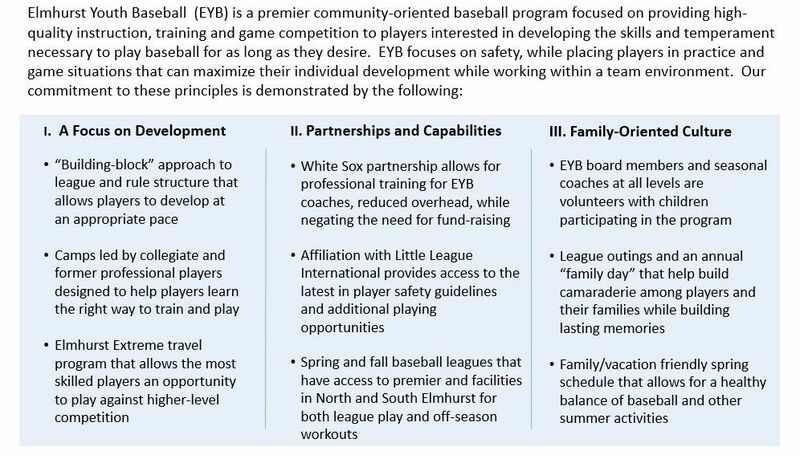 EYB has partnered with the Elmhurst College Baseball program each winter to conduct skill development clinics for our EYB kids. All proceeds for this clinic has been donated to Elmhurst College to support their Baseball program. 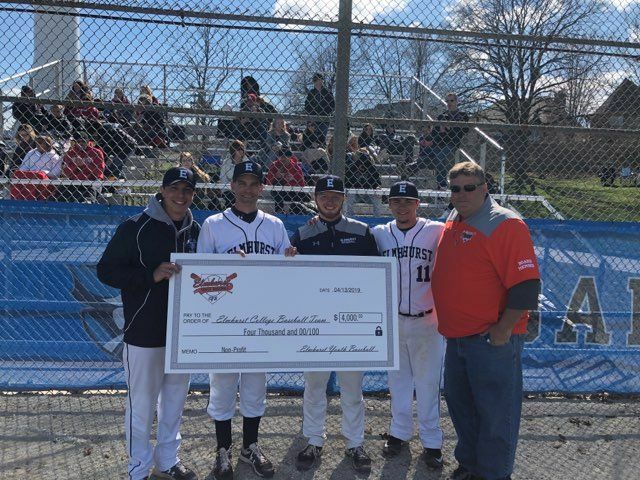 This year's donation totalled $4,000.00 and was presented during this weekends home baseball game. Elmhurst Youth Baseball (EYB) will hold its opening day ceremonies on April 27th at Berens Park. All teams (T-Ball, Farm, Competitive, Minors, Majors, Pony, Colt and Girls Softball) are scheduled to participate. Activities include: “Parade of Teams,” baseball games all day at Berens (with announcers for some games), food, batting cages, and putt-putt. In preparation for this first annual event, teams will be asked to create posters with their team names to use as they enter the parade grounds (Berens 5). Posterboard and specific directions for parade will be given to team managers at Picture Day on Saturday, April 13th. We look forward to seeing everyone at Berens Park on April 27th. Please come join us for the fun! 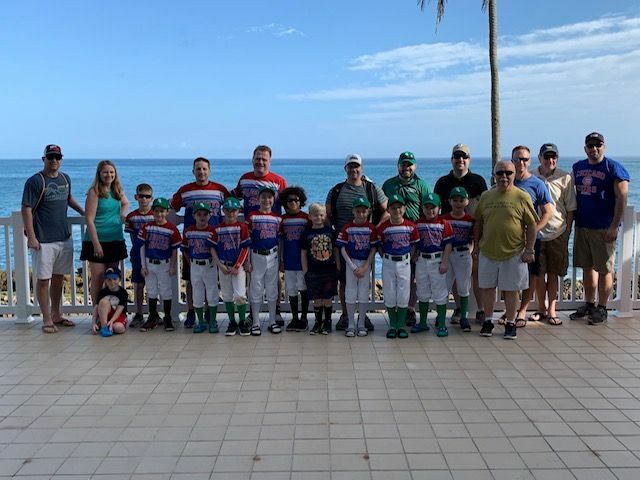 EYB's 8U Travel Team traveled to Gurabo, Puerto Rico to receive training from the top coaches in Puerto Rico and to play against the PR Dux, BlueJays, and Cardinals on 2/15 & 2/16. Our EYB boys went 3 - 1 in their 4 games.